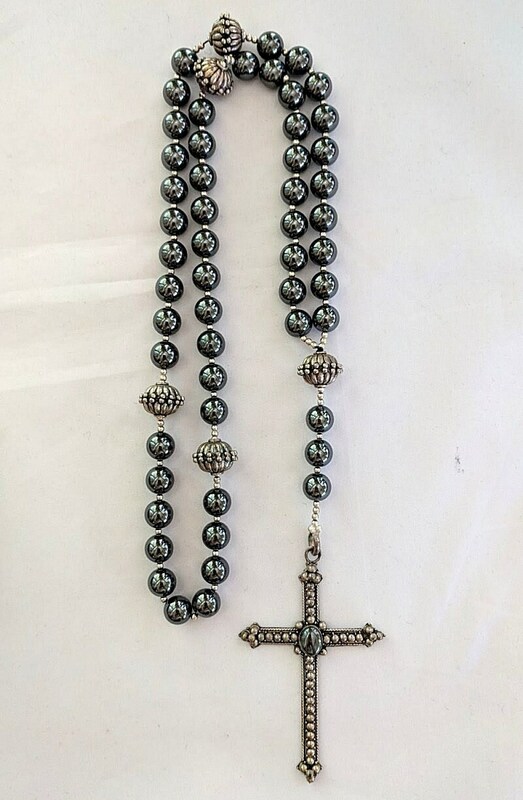 This rosary has fifty 8mm hematite beads divided into 5 decades by 10mmx12mm sterling silver rondelle beads with small silver spacer beads separating each larger bead. 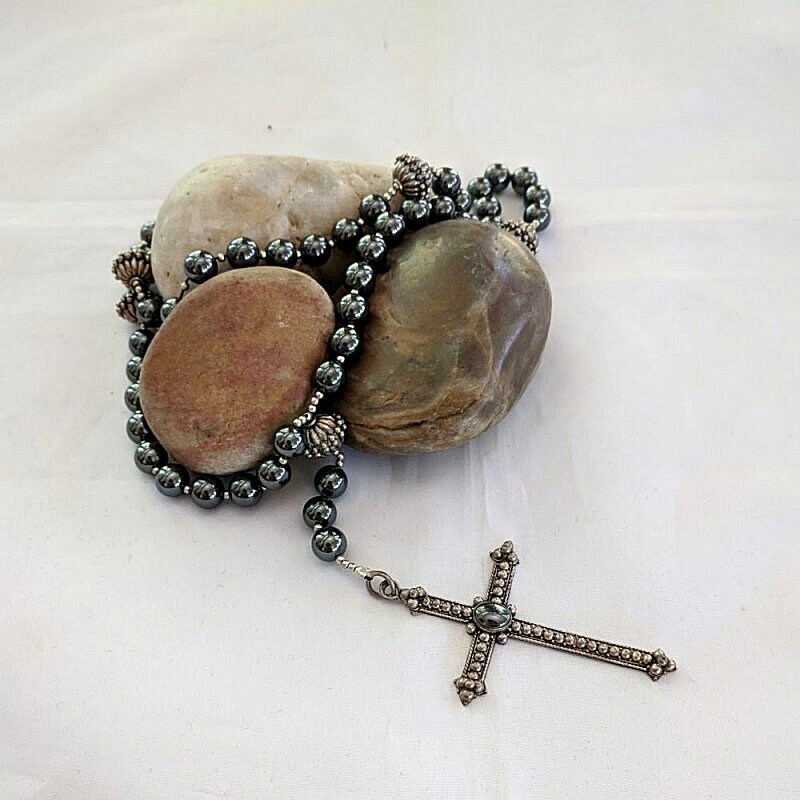 It is made in the traditional bead arrangement with the "pathway" of 5 extra beads (2 paternosters and 3 aves) before the sterling silver and hematite cross. 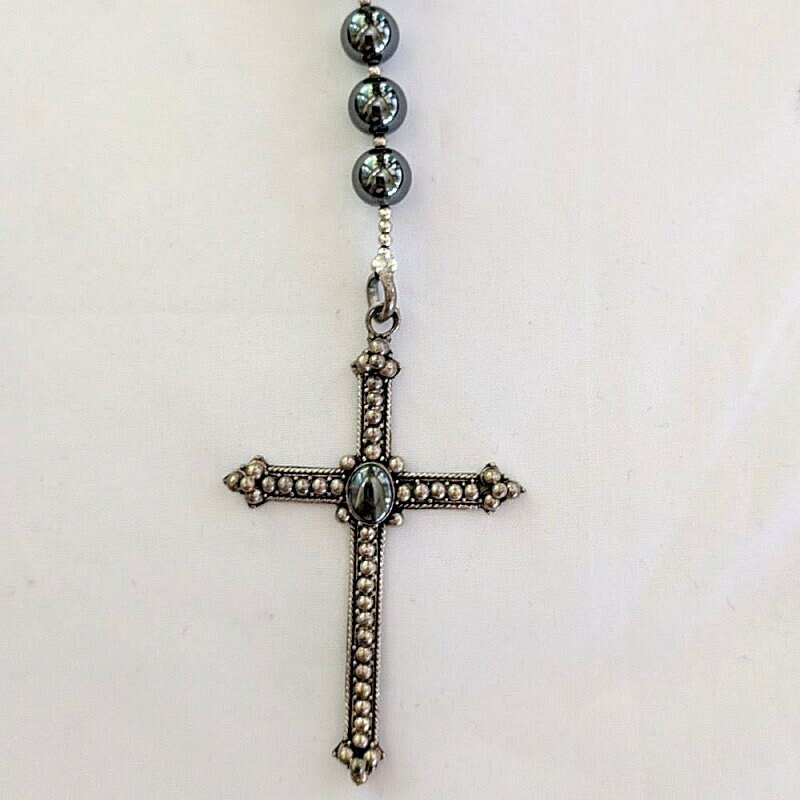 It is strung on silk beading thread and has small silver spacer beads between each hematite bead and extra spacers at the paternosters and cross. 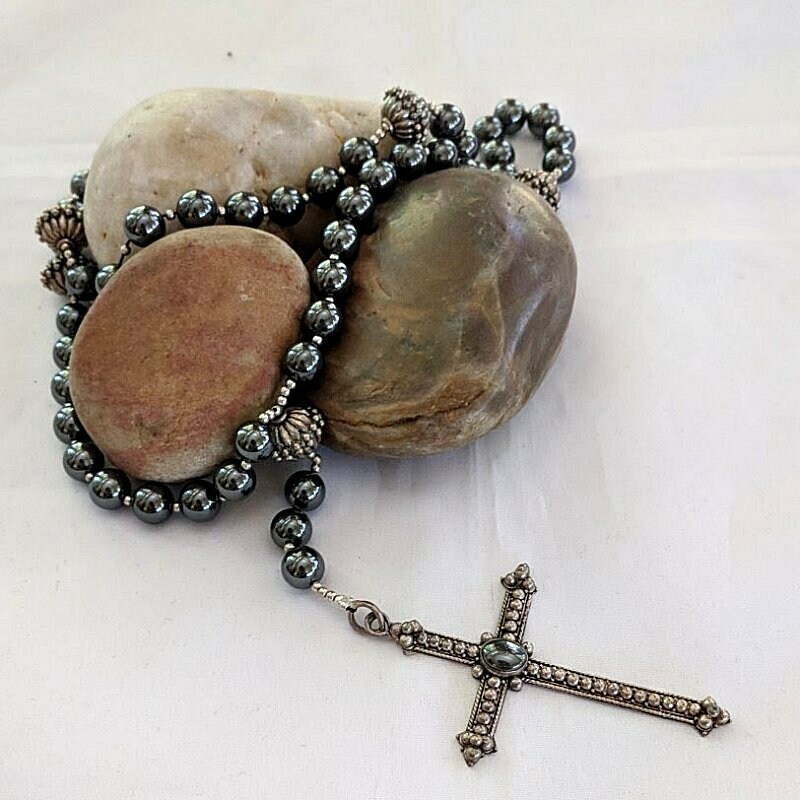 The cross measures approx. 2 1/2" in height and 1 5/8" in width. 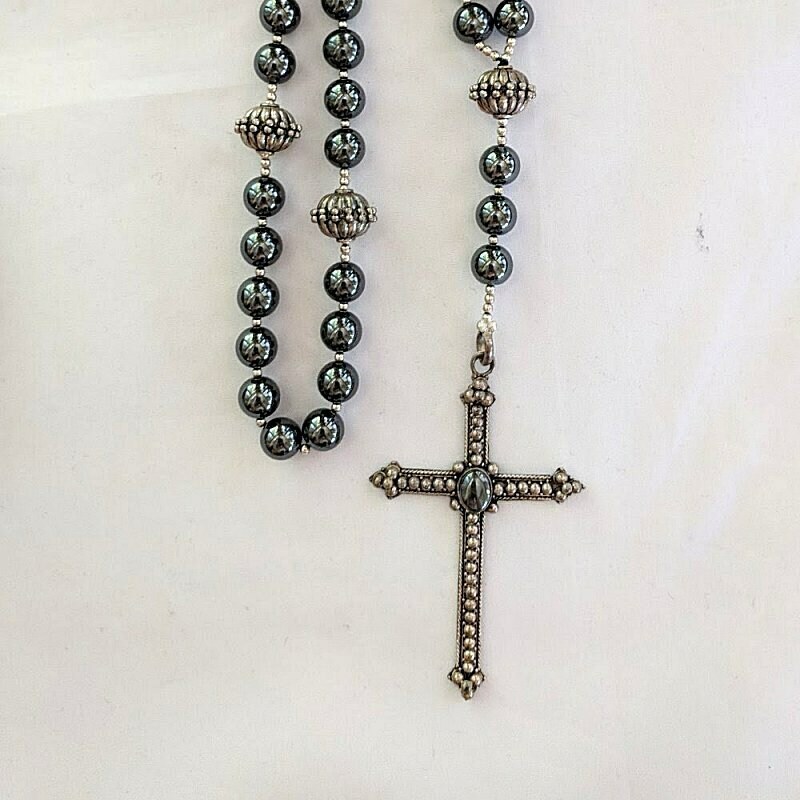 Divided in half, the rosary hangs approximately 15 1/2" in length.